EY today released Geopolitical update: Brexit and US-China relations, which explores how Brexit and the increasing complexity of US-China relations is affecting Chinese enterprises’ overseas investments. Investors from China should pay close attention to the latest policy developments and develop a geostrategy to manage the risks and identify the opportunities amid this growing uncertainty. Moderate disruption — A partial agreement between the UK and EU on certain terms could make goods crossing borders subject to enhanced inspections and nontariff barriers, affecting supply chains and business planning. A limited agreement would likely have little or no coverage for trade in services, disrupting the services sector by leaving it without ready access to European markets. Severe disruption — If the UK and EU can’t reach an agreement, tariffs could be levied on goods exported to the EU and a wide array of nontariff barriers could be established, significantly affecting the manufacturing and services sectors. Limited disruption — The most likely scenario would be a failure by the UK and EU to reach a comprehensive Brexit agreement. But London and Brussels have signaled their willingness to defer significant changes for about two years if interim terms can be agreed on. While this would reduce the near-term potential for business dislocation, it would prolong the period of ambiguity, driving up the cost of doing business in the UK. Businesses and investors should expect Brexit to take 7 to 10 years to unfold, which makes a wait-and-see approach not feasible for most investors. The UK will have to negotiate new bilateral agreements with numerous other countries, which could take years. But trade and investment with emerging markets, including China, could become relatively more attractive. Domestic economic potential — The US economy is enjoying one of its longest economic growth cycles in modern history, and the trajectory has shifted upward in 2018. However, risks to watch out for in 2019 are increasing labor costs and shortages, tariffs and supply chain disruptions, and rising energy prices. Interest rates in the US are projected to continue rising, which will put upward pressure on the dollar and affect asset prices, competitiveness and growth potential. Also, economists expect the stimulative effects of the tax cut to start dissipating by 2020. Political leadership — The election of Mr. Trump was a significant departure from the American political norm. His administration has pushed the US in many new policy directions regarding taxation and regulation, trade and international affairs, including US-China relations. Investors likely will have to navigate more political volatility, uncertainty and complexity in 2019. Topics of interest to Chinese investors, such as the issuance of EB-6 visas, could be affected by domestic political debates, and the next US general election in 2020 could lead to another shift in US economic and security policy. CFIUS review — The Committee on Foreign Investment in the US (CFIUS) is a federal government body that reviews the national security implications of FDI in US-based companies. Scrutiny of investments from China has expanded significantly over the past seven years, and this looks likely to increase as the Trump administration has signaled its intent to use the CFIUS process to screen Chinese FDI more closely as a countermeasure to FDI restrictions in China. FIRRMA rollout — The Foreign Investment Risk Review and Modernization Act (FIRRMA) of 2018 significantly expanded the legal basis for CFIUS review. Greater scrutiny will be given to transactions involving real estate in locations deemed sensitive, companies with “material nonpublic technical information” and “investment structures designed to circumvent CFIUS jurisdiction.” The new rules should start being implemented in 2019. Political risks — CFIUS review is a formal process that is specified by federal laws and regulations and, in principle, should be fact-based, rules-driven and predictable. But it is also subject to many external, subjective and less-predictable political forces. Geopolitics is a key issue for Chinese outbound investors and overseas operations. To effectively identify and manage geopolitical risks, business leaders and investors should develop a robust geostrategy. An effective geostrategy must assess precisely how geopolitics might compromise corporate performance and investment outcomes and should include measures to mitigate risk and seize opportunity. Investors should carry out systematic, in-depth reviews and evaluations of the local political, legal and social environment in the initial stage of overseas investment projects and monitor the environment throughout their investment horizon. 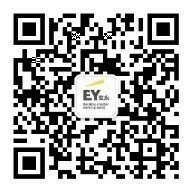 COIN connects EY professionals around the globe, facilitates collaboration, and provides consistent and coordinated services to our Chinese clients to make outbound investments. Building on the existing China Business Group in the Americas, EMEIA, Asia-Pacific and Japan areas, COIN has expanded our network to over 70 countries and territories around the world. COIN is part of EY’s commitment to provide seamless and high-quality client services, worldwide, to Chinese companies going overseas and doing business overseas. Our globally integrated structure enables us to deploy dedicated teams with strong local experience and deep industry knowledge to provide seamless services to our clients. The Geostrategic Business Group harnesses EY’s global resources – our on-the-ground local experience, sector knowledge and key relationships – along with the political risk capabilities of select partners to bring world-class perspective and insights to businesses operating in nearly every corner of the world. 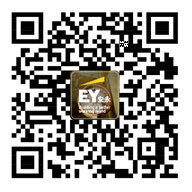 This press release has been issued by Ernst & Young, China, a part of the Ernst & Young global organization.